On 3rd June 2000, Chris O’Brien placed the first ever geocache in Europe on Bray Head, in my home town. On that date, I was celebrating my 16th birthday and had no idea that the box hidden less than a mile from house would become so important to so many people. Indeed, I’m sure Chris himself didn’t realise how significant his actions that day would become. Skip forward to August 2013 and the week I discovered geocaching. Europe’s First (GC43) was among my first finds and I was still oblivious to how important it was. I did have a lot of fun finding it though. Since I started geocaching, exactly how precious this single cache is has become obvious. 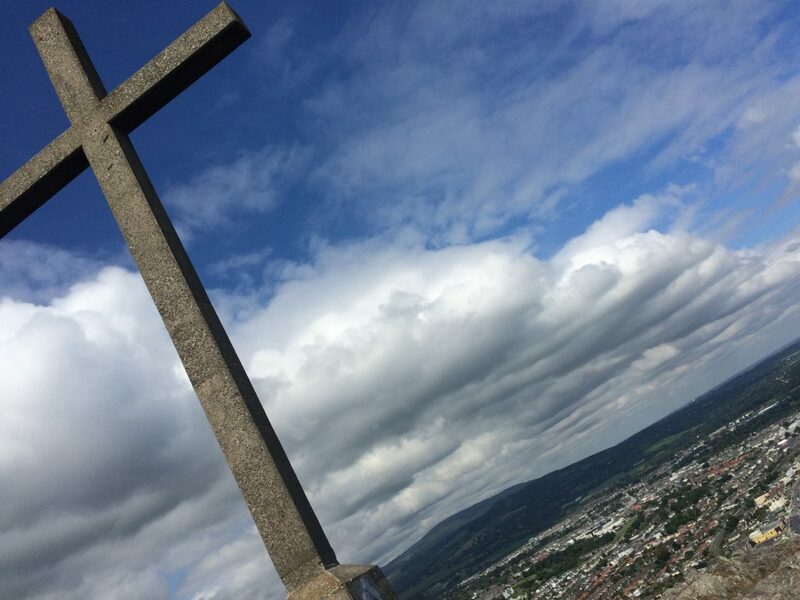 The vast majority of geocachers who visit Bray (and indeed Dublin) are doing so with the sole purpose of making the pilgrimage to Bray Head to find GC43. I have made some great friends at Meet & Greet events who came to Ireland just because of this hide and it’s become a very special cache for me personally. 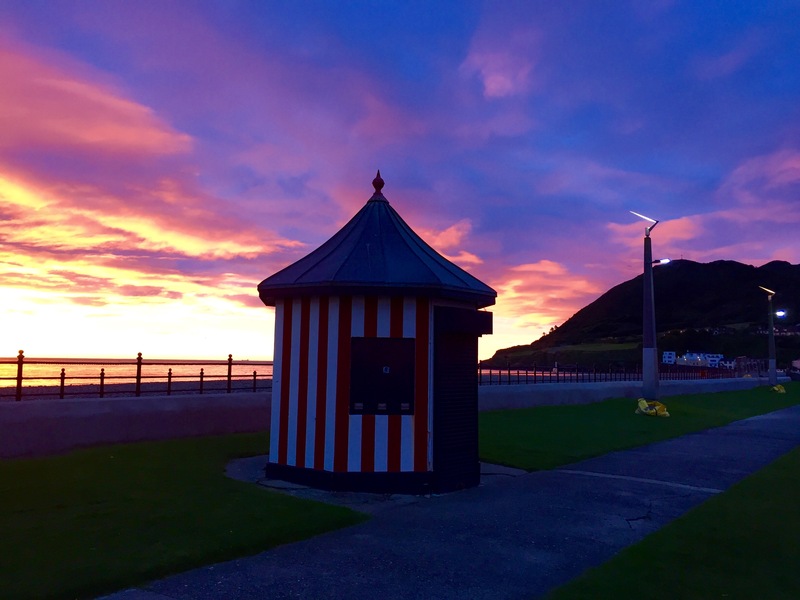 I have hidden a number of caches around Bray and along the path to Europe’s First, to try to enhance the visiting geocachers’ experience in my hometown, although there were already many fantastic caches when I started. If you are planning to find Europe’s First, I hope you will find the information here and my cache recommendations useful. Bray is a suburb of Dublin City and is therefore very nicely serviced by public transport. If you are short on time and want to get directly from the airport to Bray, you can take the Aircoach, which will drop you about a 20-25 minute walk from the foot of Bray Head and the start of the Cliff Walk path, where the cache is located (ask the bus driver to let you out at the Wilton Hotel stop). If you are staying in or around Dublin City Centre, you have two public transport options to get there. The first is the DART commuter train (about 45 minutes from the centre to Bray).The DART winds its way along the coast and there are great views over Killiney Bay so you are sure to enjoy the journey (just make sure to sit on the left side of the train when facing the direction of travel). Bray DART station is about a 25-minute walk from the start of the Cliff Walk, where GC43 is located and there are plenty of caches to find along the way. Alternatively, you can take Dublin Bus routes 145 or 84, which will leave you at the DART station also, although it will take a little longer and the views from the bus window will not be as interesting. Bray has a good variety of cache types, so you have the option of finding six different icons on your visit, or even seven if you host or attend an event. Here are my recommendations for the best caches, which includes at least one of each cache type. Europe’s First (GC43) is most likely the reason you’re in Bray anyway, so it is undoubtedly top of your ‘must-find’ list. There are great views of the sea from GZ and it’s a nice big box if you want to drop off some trackables. Alternatively (and for those who like higher terrain), my favourite cache in Bray is Brunel’s Folly (GC3FVQQ). The hide will bring you down to a disused railway tunnel and affords you with great views of the sea. The railway line had to be moved further inland after a train derailment in the 19th century, which was the result of a cliff collapse caused by erosion. The terrain is steep so if you suffer from vertigo, you might want to avoid this one. 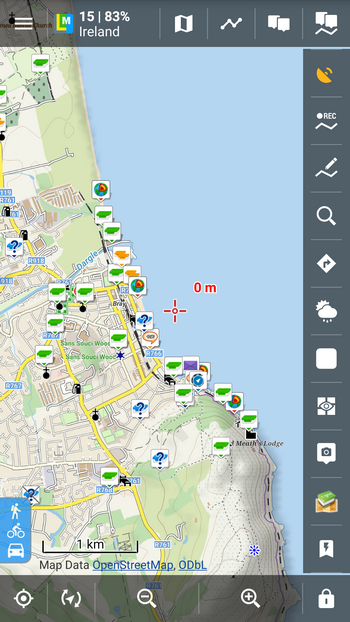 There are two multi cache options in Bray: #2 – A History of Bray: Martello Tower (GC4YEA0) and #3 – A History of Bray: Victorian Promenade (GC5219K). Number two in the series is nice and simple, on an easy terrain and will take about 10 minutes to complete. Number three is a little longer with a higher terrain rating (especially when it’s been raining) but you can gather the information required as you walk along the promenade and the final container is hidden on the way to Europe’s First (with just a short, worthwhile detour). The Old Eagle’s Nest (GC33A7B) takes finders to an interesting location: the site of Bray’s long-forgotten chairlift station. The chairlift took tourists from the beach to a viewing point half way up Bray Head. To collect your unknown cache type, there are a number of options: three puzzles, two challenge caches, a night cache and a chirp cache. Depending on what time you will be in Bray, the one I recommend most is the night cache Trick or Treat? (GC5FG6W) – just remember to bring a good torch. There are now four Earthcaches in Bray (there was only one when I started caching! ), so you have plenty to choose from. My favourite is Bray Pebble Beach (GC5XYWH), which highlights the coastal erosion and the subsequent protection measures put in place. A Walk in the Garden 75 – Bray Head (GC5TFZ4) is a simple wherigo on a difficult route. Don’t let the cache name fool you: this is definitely not a ‘walk in the garden’! The title refers to County Wicklow’s colloquial name as the Garden of Ireland. Finding the hide involves a steep climb (although no additional climbing gear is required) so it is not for the faint-hearted. 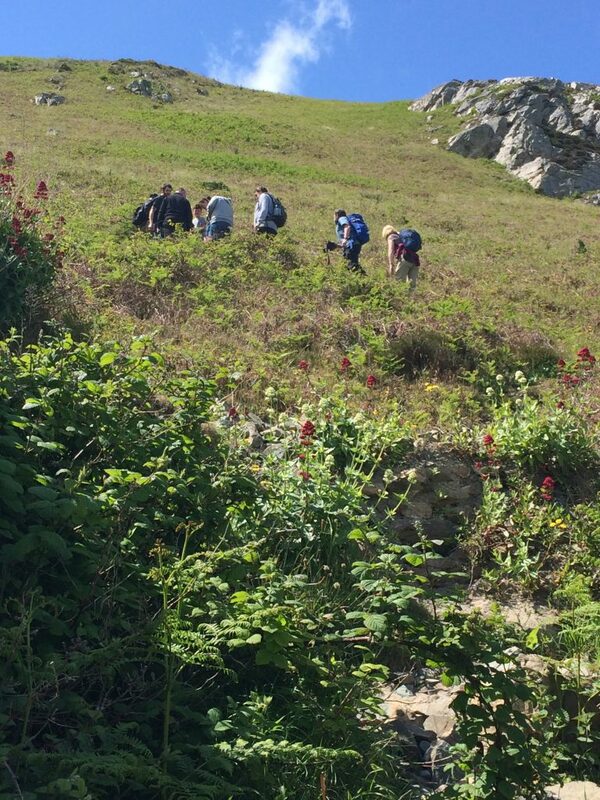 You will have gained plenty of elevation by the time you reach GZ, so you’ll get fantastic views and there is also the opportunity to find numerous other caches while you’re completing the cartridge. 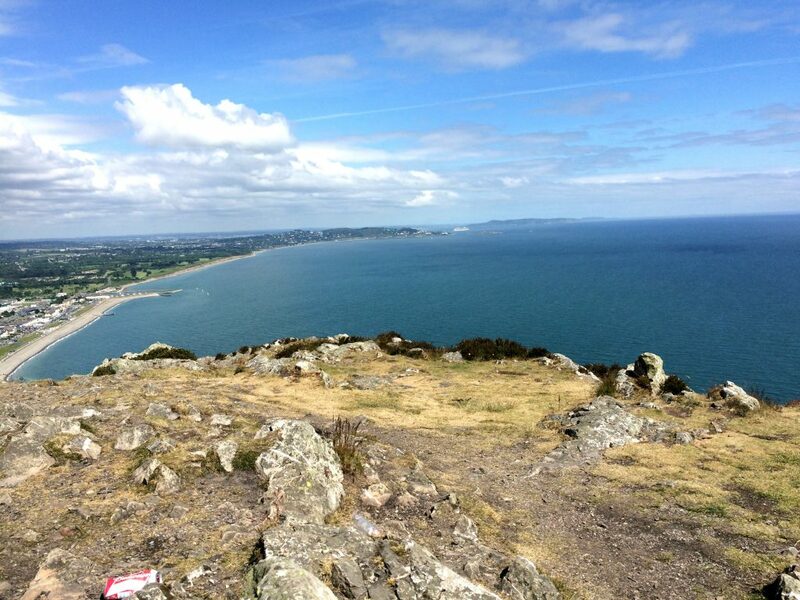 The above is just a small selection of the great caches you can enjoy while you’re in Bray. If you have the time, I highly recommend getting the DART to Greystones, the stop just south of Bray, then walking all the way back along the Cliff Walk (approximately a seven kilometre walk). 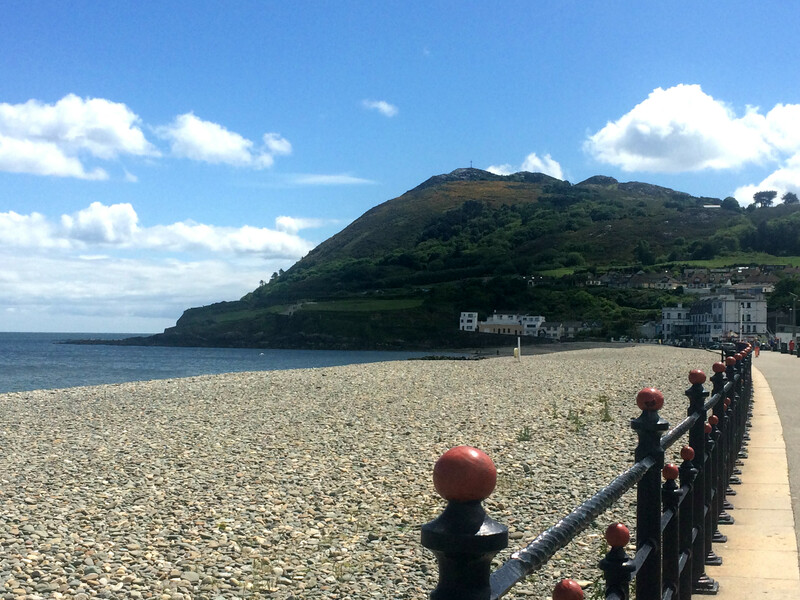 The coastal path is a very popular attraction in Bray and there are lots of caches located along it. Alternatively, you can walk from Bray to Greystones and then catch the DART back to Dublin. Be aware that trains to and from Greystones are less frequent than those to and from Bray. 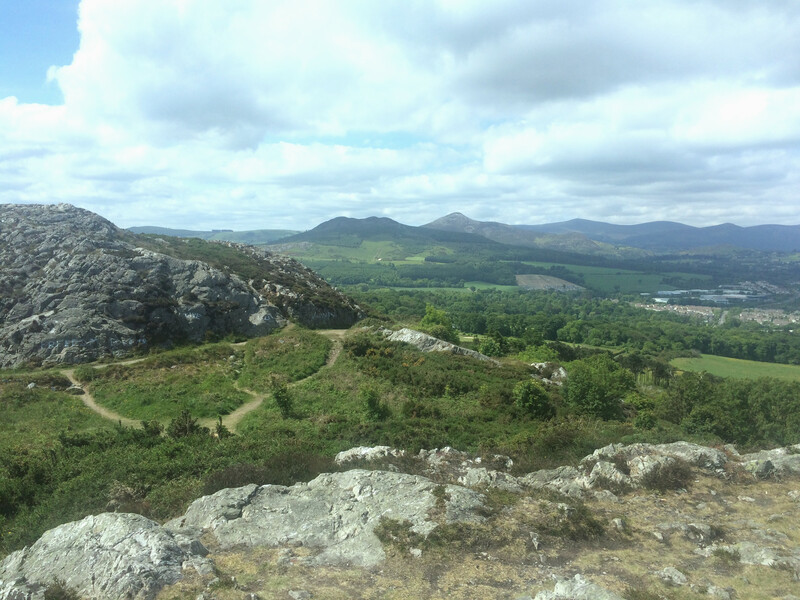 Even if you are only in the Dublin area for a short time, you will not regret spending a day geocaching in Bray. The best time to travel is in the summer months, as it’s less likely to rain (although it can never be ruled out as a possibility in Ireland!). 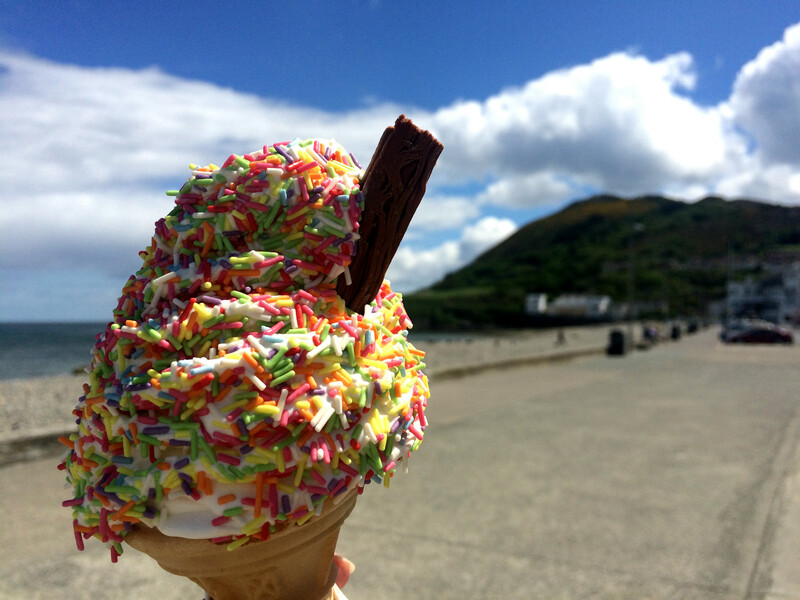 Make sure to buy an ice-cream when you’re finished and enjoy sitting on the promenade taking in the view – you deserve it after a hard day of geocaching. Sarah is an avid geocacher based in Bray, County Wicklow, Ireland. She writes two blogs dedicated to her passions: thegeocachingjunkie.wordpress.com, a blog all about her geocaching adventures and destinationfarandwide.com, which details her experiences when travelling around Ireland, Europe and further afield.